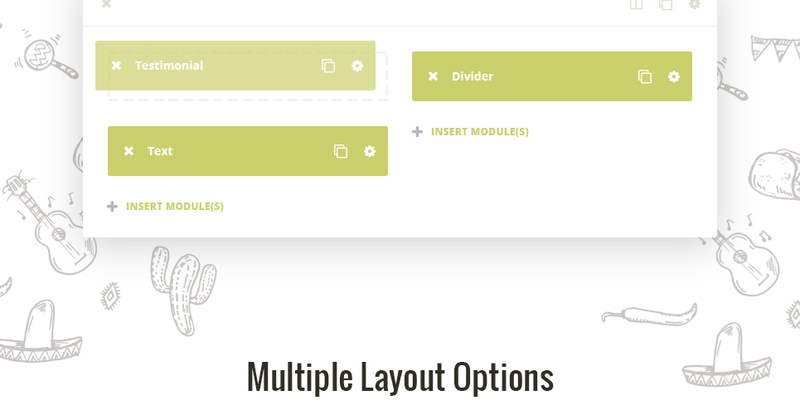 If you need to create unique layouts, you can do it with Power. 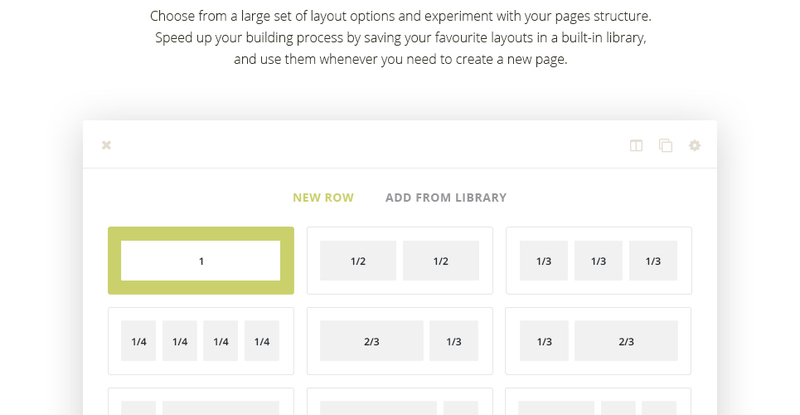 This advanced page builder lets you structure layouts and fill them with content in a drag-and-drop interface. 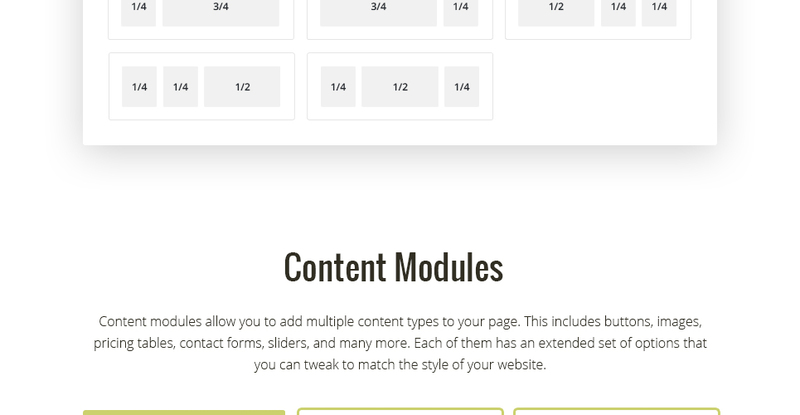 There are over 25 content modules to use, namely blurbs, accordions, dividers, different types of sliders and counters, etc. 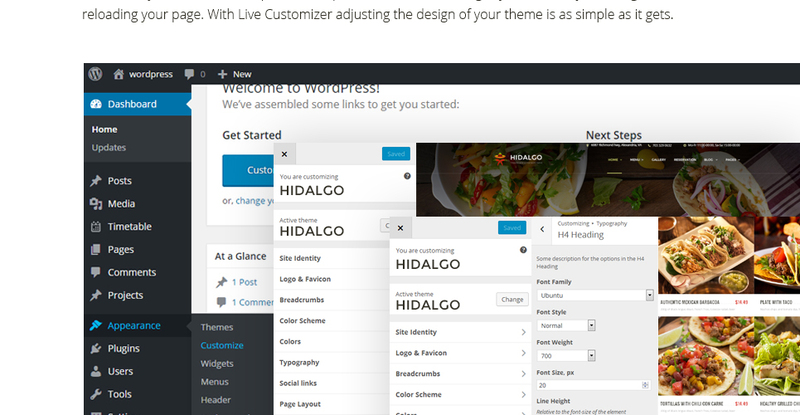 To edit pages, Hidalgo features a live customizer. With its help, you can preview changes without saving them and re-loading the page. It will make your work much faster. Built with Bootstrap 3, the theme automatically scales to any display. Whether people browse your site via a smartphone or desktop, they will enjoy the same well experience. When a end user types something to the search bar, the major search engine searches for it depending on various guidelines. 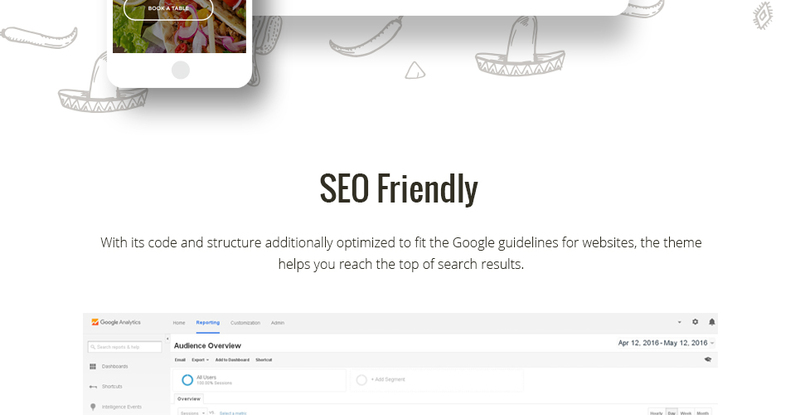 Search Engine Friendly template's code is certainly specifically distinct and structured to try to make Website seo work less difficult. By using a SEO-friendly digital product, you obtain the foundation to make a visible internet site that will be easy-to-find using the standard key phrases research. What's more, you may make your online site rank higher in search results, as a consequence making it more likely that people will visit your website. Retina ready displays present excessive pixel density that causes the impressive excellence of the visual subject material business presentation on last-generation gadgets. Retina displays are used on Apple gadgets. 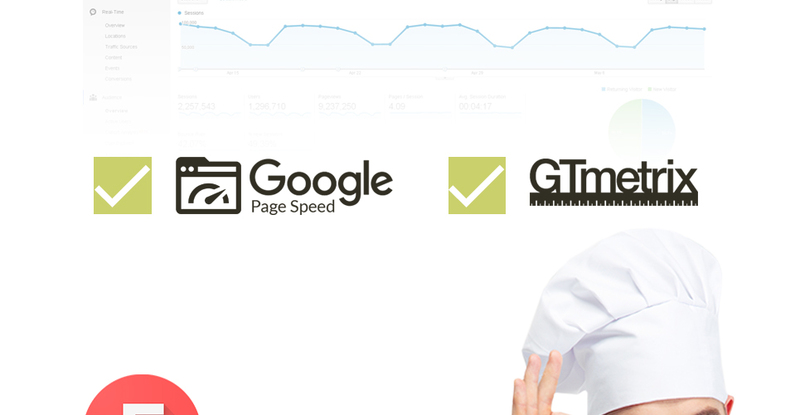 So in case a large share of your website's traffic comes from Mac and iPhone users (which is highly probable) it's better for you to opt for a retina-ready template and provide your website users with the best user experience. 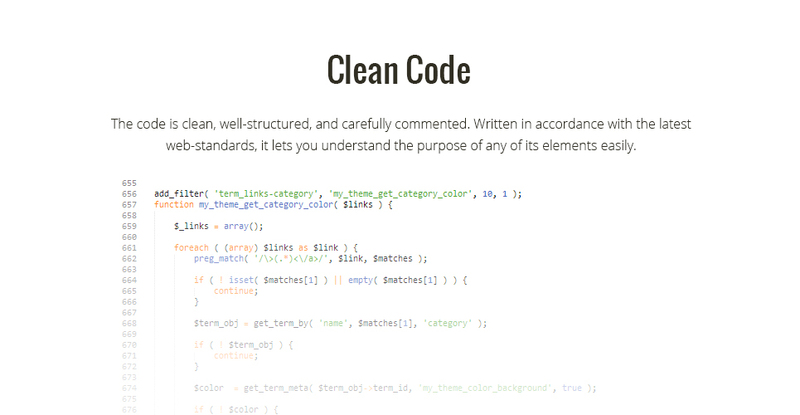 This is a free open-source WP toolkit that allows programmers to design templates more quickly and more efficiently. Cherry Framework 4 simplifies the work on developing web templates since already has numerous possibilities applied in it. Its options help you to build any site, from a personal blog to an online shop. No pattern limitations. In the event that you find out or expect that your audience talks multiple spoken languages (sometimes they can be from various locations or they can be linguists), you should have your web site being made in different foreign languages. WPML plugin provides a multilingual switcher to the website, allowing the site visitor to easily get a new web page's language. You can expand the number of people and make your website worldwide. In addition with WPML, search engines know the structure of your website and direct the suitable traffic to the right languages. It's actually a exceptional technique when the background design shifts less quickly in perception in comparison to the elements of the foreground. Therefore, Parallax leads to a feeling of a three-dimensional space. It can make a powerful impact for the visitor, thereby getting a big audience and compelling consumers to stay on the site. It's actually a fantastic way to add a highlight to a one-page website, restore an infographic, tell a story or display a portfolio. Responsive webpage design approach makes a site's screen adjustable to any type of screen resolution. No matter what kind of gadget your clients may utilize to enter the web page - they are going to see a vivid graphic that has a simple navigation menu. It can be especially critical feature, taking into consideration that most buyers at present favor their mobile phone devices for internet browsing. Anytime a vibrant video recording is played underneath the other content at some section of the web site (in most cases at the very top) - this is called background video. 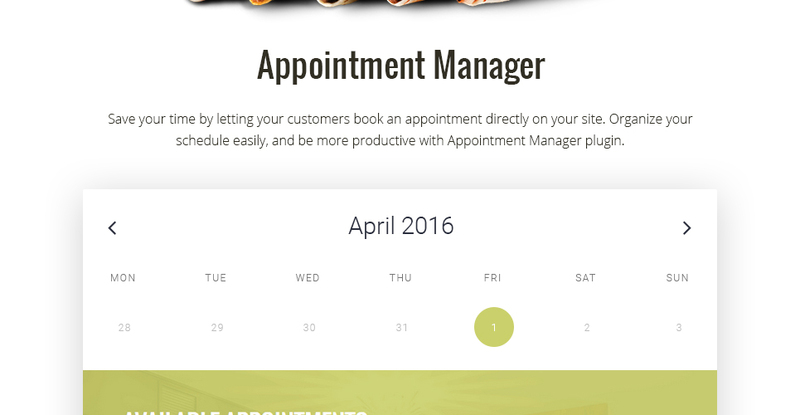 It could be called an animation effect as it surely can make the website page even more vibrant. Background video will help to construct a gorgeous and more professional looking business site. Can I resell the WP themes for Mexican Food Takeaway I bought the extended license for? No, you cannot resell the WP themes for Mexican Food Takeaway as is. You can only sell them as the integral part of your new product. 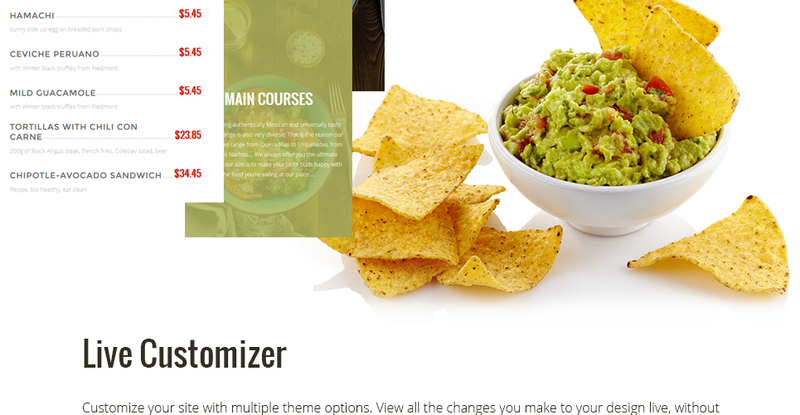 What is Developers License for Mexican Cuisine Restaurant WP theme? 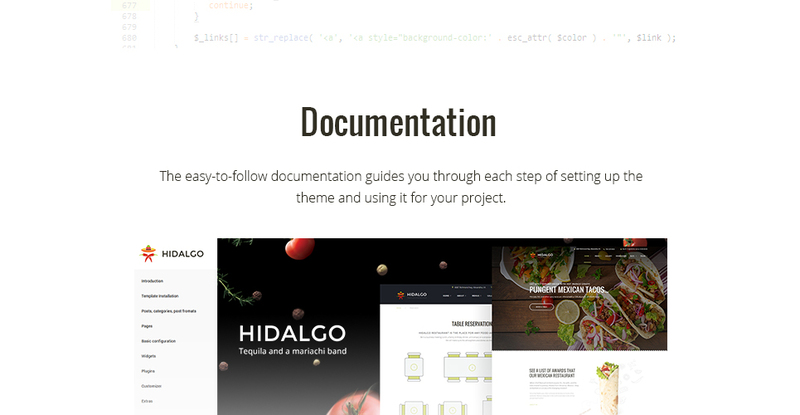 If you purchase a Developer's license, you are granted a non-exclusive permission to use the Mexican Cuisine Restaurant WP theme on up to 5 domains for projects belonging to either you or your client. 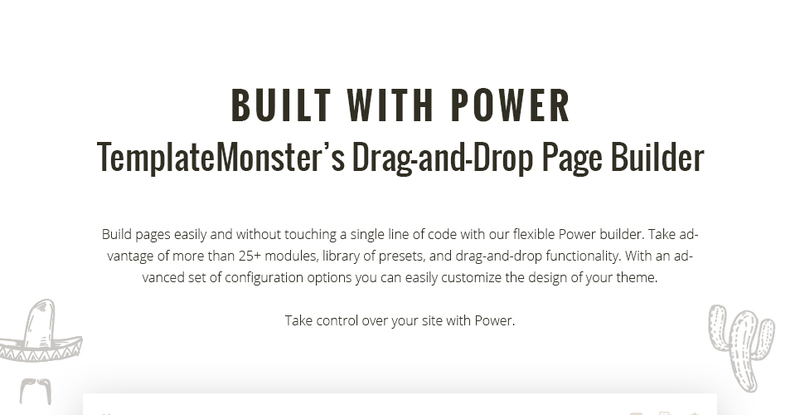 Will TemplateMonster help me to install my WordPress template for Mexican Bar? Some of our products like osCommerce templates, Zen Cart templates, etc. require installation to operate. Installation services are not included in the package price. TemplateMonster though offers you a variety of sources to help you with installation of your WordPress template for Mexican Bar including installation instructions, some articles with our Online Help Center. Our Knowledgebase contains customers questions and most frequent problems. Anyway, you can always refer to our partners from TemplateTuning.com to install your WordPress template for Mexican Bar for you for a small fee. Can I resell WordPress templates for Mexican Grill Restaurant I bought the developers license for? Make sure that these charges for WordPress template for Taco Restaurant have different order IDs. If it is so, contact our billing department. Is it possible to buy the particular image from the WP theme for Burrito Bar? No. According to our Terms and Conditions we never sell the images separately from WordPress themes for Food & Restaurant (as well as the templates separately from the images). How many applications, programs etc can I use to integrate with the WordPress themes for Food & Restaurant under one extended license? 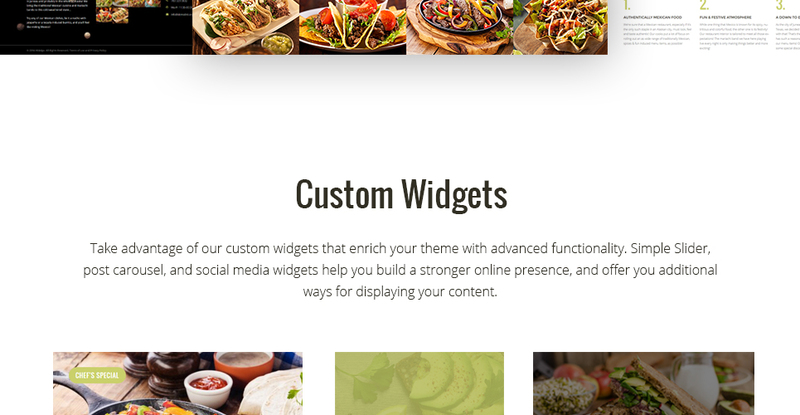 The extended license gives you the right to use the purchased WordPress themes for Food & Restaurant for the integration with one software/freeware/application/CMS/sitebuilder only. In case you would like to use the template with the other application, the other license is to be acquired. What is a buyout purchase license for WordPress template for Mexican Cafe? If you purchase the product at a â€˜Buyout price' it guarantees that you are the last person to buy this template from us. It means that this WordPress template for Mexican Cafe may have been sold before a couple of times (see â€˜Downloads' number in item's properties) but only you and people who bought the template before you will own it. After this kind of purchase the template is being permanently removed from our sales directory and is never available to other customers again. The buyout purchase license allows you to develop the unlimited number of projects based on this template, but the template should be customized differently for every project. I like the image from the WordPress theme for Mexican Grill Restaurant and would like to use it for my advertising campaign, can you send me this image in a higher resolution? No, we can't provide image in higher size or resolution rather than it is on the WordPress theme for Mexican Grill Restaurant. We recommend looking for professional images on online photo resources. Will you help me to customize my WP theme for Food & Restaurant Magazine? We do not provide any help or instructions on WP theme for Food & Restaurant Magazine customization except for www.template-help.com help center. If you are not sure you can customize the template yourself we recommend to hire a design studio to customize the template for you. What is the price for acquiring the extended license for WP template for Food & Restaurant? There is no set price for acquiring the extended license. The price is based on the WP template for Food & Restaurant's unique price for those templates you would like to use for the integration. The price for purchasing license for a single template is half of the template unique price. Is there any return policy for WordPress designs for Burrito Restaurant? Requests for a refund are accepted at www.template-help.com/tickets within the period of 2 weeks after the order of Food WordPress template is placed. You should accompany this request with detailed and grounded reasons why you apply for a refund. Please make sure your request does not contradict the terms and conditions specified in the policy. A refund is issued to you upon receipt of a Waiver of Copyright signed by you. I ordered a Mexican Food Restaurant WP template but haven't received the download information. In case of not receiving the download information of a Mexican Food Restaurant WP template, please contact our Billing Department via support chat by phone or e-mail. 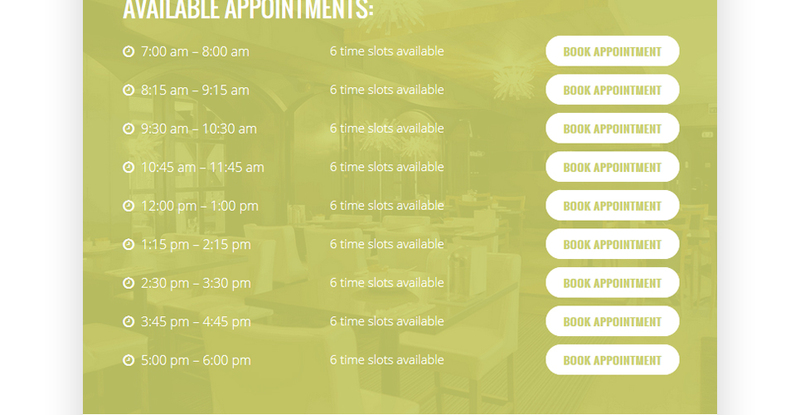 Can I get the WP template for Food & Restaurant in higher resolution to use for printing? 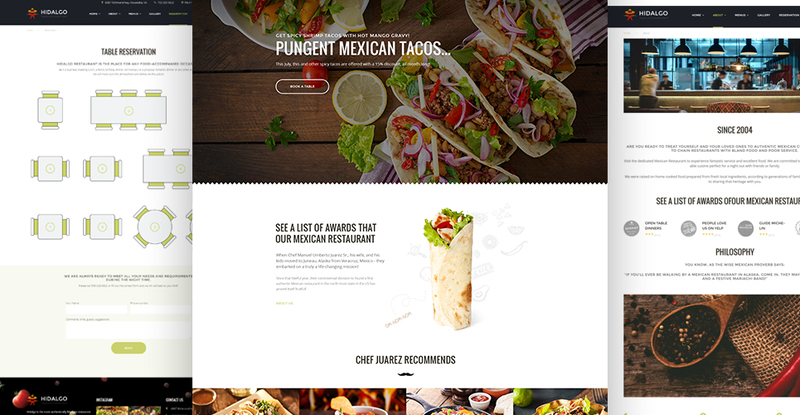 No, we design WP templates for Mexican Takeaway optimized for web resolution only. Is it possible that Template Monster will contact my client which website I made from Template Monster's website WordPress theme for Mexican Grill Restaurant? Yes, our legal department checks licenses regularly. In case we won't find designer's contact information on the site which was made from the WordPress theme for Mexican Grill Restaurant of ours we will contact the owner of the site directly. Can I get the extended license for some other pricing than the half of the initial Food & Restaurant Rewies WordPress design theme price? No. The price for purchasing license for a single Food & Restaurant Rewies WordPress design theme is the half of the template unique price. 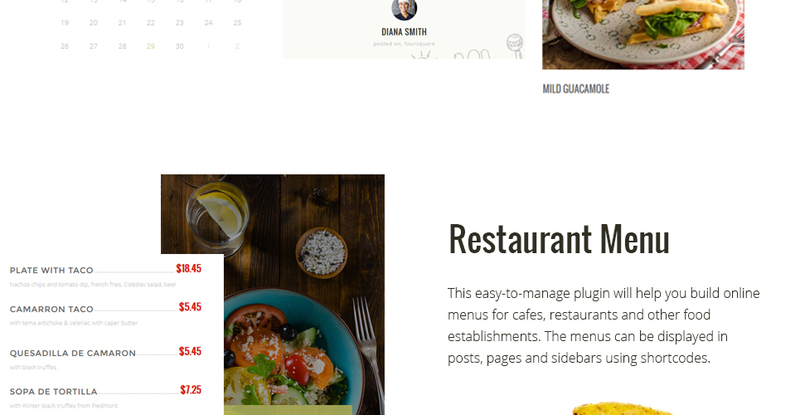 Will the WordPress design theme for Food & Restaurant Rewies be deleted from TemplateMonster database? No, the WordPress design theme for Food & Restaurant Rewies will not be deleted from TemplateMonster database. Can I put a line at the bottom (or any other spot) of my new product "Website development by Company name" after purchasing WP template for Mexican Restaurant? Yes, you can place a note at the bottom (or any other spot) of my product "Website development by Company name". Nevertheless, you cannot place "Website design by Company name"while using one of WP template for Mexican Restaurant. How can I modify WordPress theme for Mexican Food Delivery to suit my particular website? Please visit our Online Help Center to obtain detailed instructions on editing WordPress theme for Mexican Food Delivery. Can I put low resolution thumbnails of WordPress templates for Mexican Buffet on my website for my clients to choose designs? What is a unique purchase license for WP theme for Mexican Food Restaurant? 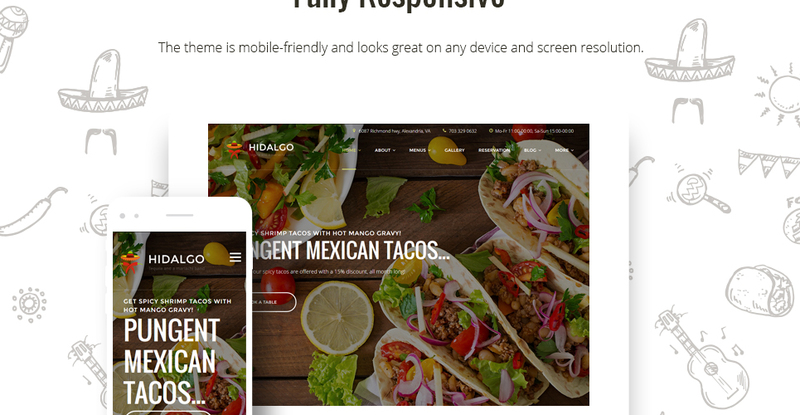 If you purchase the product at a â€˜Unique price' it guarantees that you are the first and the last person to buy this WP theme for Mexican Food Restaurant from us. It means that this template has not been sold before and you become an owner of a unique design. After this kind of purchase the template is being permanently removed from our sales directory and is never available to other customers again. The unique purchase license allows you to develop the unlimited number of projects based on this template, but the template should be customized differently for every project. 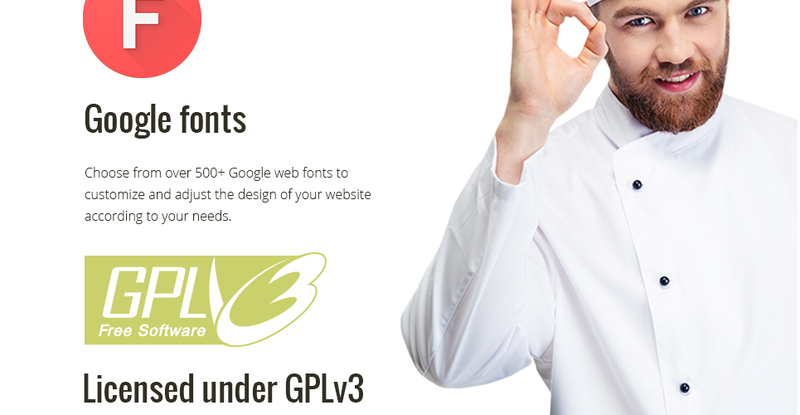 What is GNU GPL v3.0 license and can I use it with WordPress design for Mexican Buffet? If you buy a WordPress design for Mexican Buffet released under GNU General Public License v3.0, you can use it on any number of projects belonging to either you or your clients without any limitations. This license allows you to modify the template and its sources to suit your needs. Will TemplateMonster help me to edit my Cafe and Restaurant WP template? 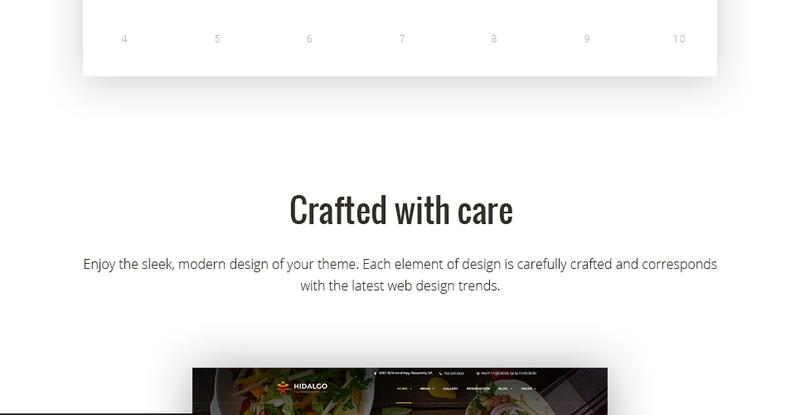 TemplateMonster offers you a variety of sources to help you with your Cafe and Restaurant WP template. Use our comprehensive Online Help Center to get the basic knowledge about your Cafe and Restaurant WP template. Our Knowledgebase contains customers questions and most frequent problems. Anyway, you can always use TemplateMonster 24/7 phone support, try our Ticket System or Live Support Chat to get qualified assistance from our support representatives. In what cases I don't need the extended license for WordPress themes for Mexican Grill? 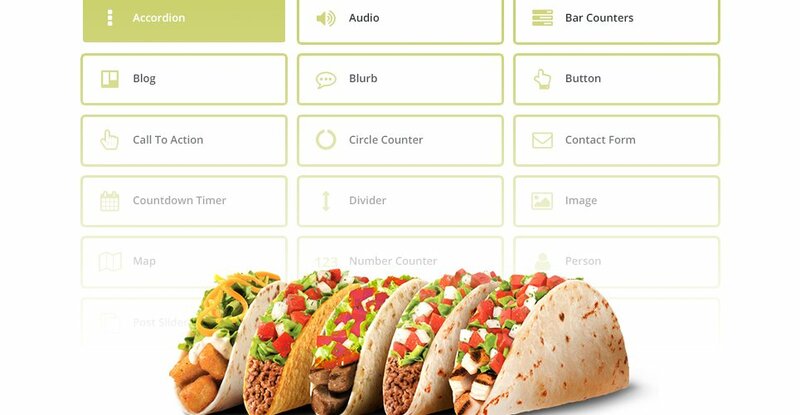 Can I put a line at the bottom ( or any other spot) of the customized WordPress template for Taco Restaurant "Website design by Company name"? No, you cannot place a line at the bottom ( or any other spot) of the customized WordPress template for Taco Restaurant saying "Website design by Company name". Nevertheless, you can place "Customized by Company name". Can I contact the WordPress template for Mexican Bistro author? Yes. You can contact this WordPress template for Mexican Bistro author/author's team directly using your personal account under the Support tab. What will I see instead of the images after installation of the Mexican Food Restaurant WP template? 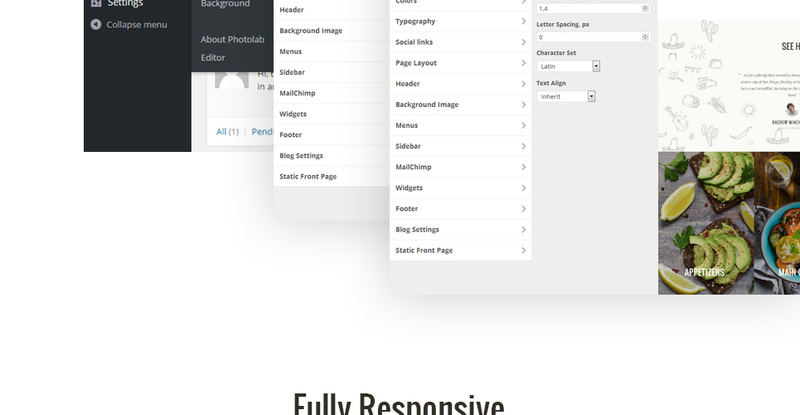 After Mexican Food Restaurant WP template installation you will see blurred images included for demo purposes only. 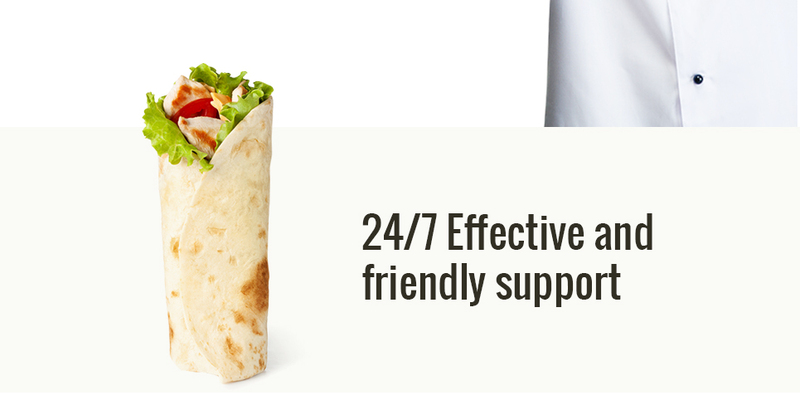 What are the advantages of purchasing a WordPress design for Mexican Food Takeaway? The major advantage of purchasing a WordPress design for Mexican Food Takeaway is price: You get a high quality design for just $20-$70. You don't have to hire a web designer or web design studio. Second advantage is time frame: It usually takes 5-15 days for a good designer to produce a web page of such quality. Is it possible to reactivate my download link for Mexican Cafe WordPress design if it was deactivated after 3 days? Yes. 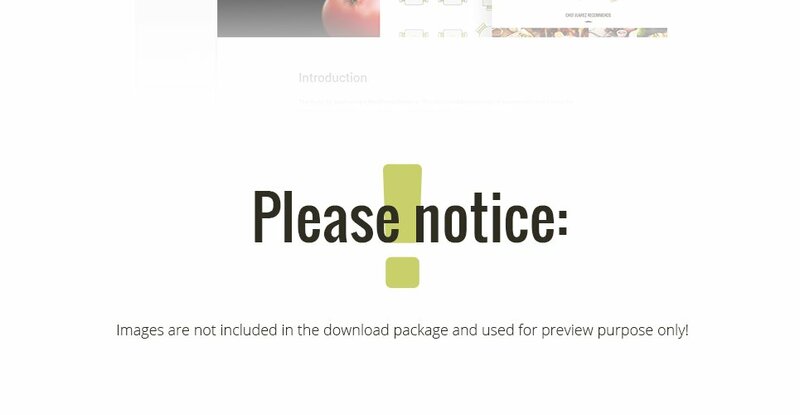 Please re-activate the download link for Mexican Cafe WordPress design within your account under the Downloads tab or contact our billing department directly regarding that. Can I resell the Mexican Takeaway WordPress design theme as is? No, you cannot resell the Mexican Takeaway WordPress design theme as is. You may: Build a website using the WordPress template for Food & Restaurant Articles in any way you like.You may not:Resell or redistribute templates (like we do).Claim intellectual or exclusive ownership to any of our products, modified or unmodified. All products are property of content providing companies and individuals.Make more than one project using the same template (you have to purchase the same template once more in order to make another project with the same design). 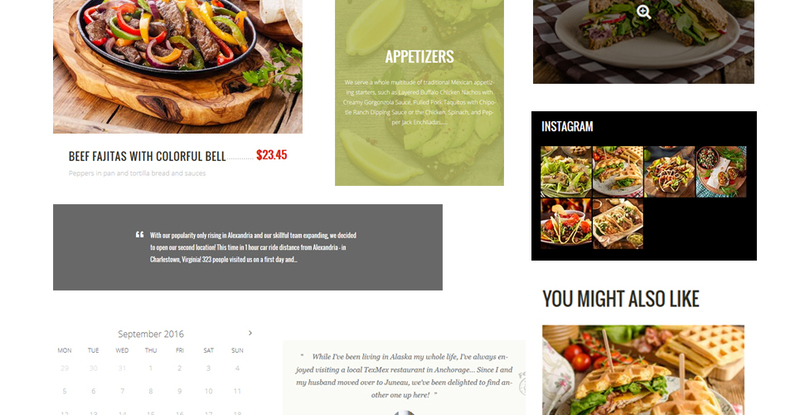 Can I resell the customized WordPress template for Taco Restaurant? Yes, you can redistribute WordPress template for Taco Restaurant under the terms of the GPL as well. Great theme. Happy with the purchase. The support team is also helping with installation so very happy about the whole package I purchased. Until I got this, my first theme from template monster.com, I was getting themes from different companies. My main complain was not getting an answer to my questions or getting it so late, that I was able to figure it our on my own, after spending too much time looking into it (time that I could have used doing other things). With templatemonster.com I was so happy to receive chat help, quick answers, and all SOLUTIONS needed. My position at this very moment is, let&#039;s get the next theme with them! I choose this design to do a cafe website and I like the menu stays and how the site works on mobile. How can I enable google maps on this theme?